Nearly 500 students attended the 2018 Maritime and Logistics Youth Expo held at the San Jacinto College Maritime Technology and Training Center April 20. The port’s small business, maritime education and community relations departments participated, helping students learn about different careers in the maritime and logistics industries. The expo featured presentations by mariners on the topics of towboats, harbor tugs, barges, shipping forklifts, dredging, survey vessels and maritime salvage equipment. There were more than 30 exhibitors at the event. It also featured a splashing tugboat push competition. The port’s emergency Mobile Command Center and a Port of Houston fire boat were on site for demonstrations. Games, learning activities, giveaways and a photo booth station were provided throughout the morning. “We are thrilled to be able to provide this opportunity to local middle school and high schools in the region. The purpose of this event is to open their eyes about potential career paths,” said Gilda Ramirez, Port Houston senior director for small business and education outreach. 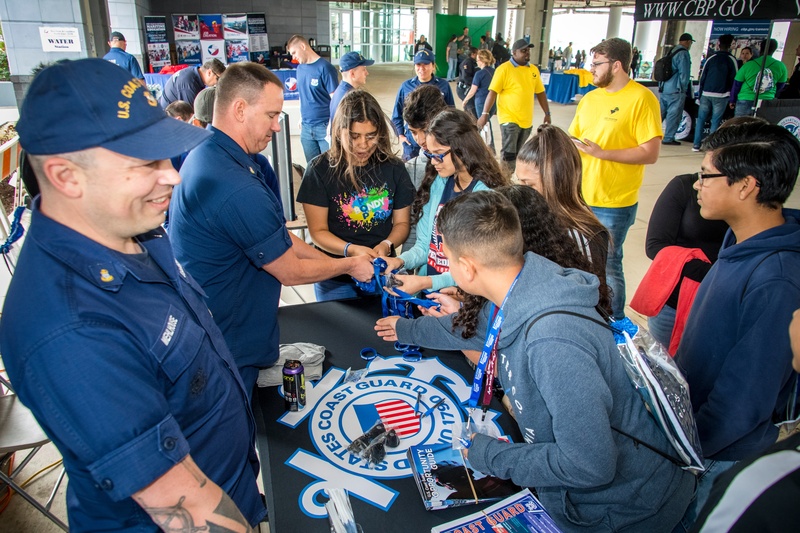 The event is supported by the Port of Houston Partners in Maritime Education Program and is co-sponsored by Harris County Precinct 2, Houston Pilots, San Jacinto College and U.S. Coast Guard Auxiliary.